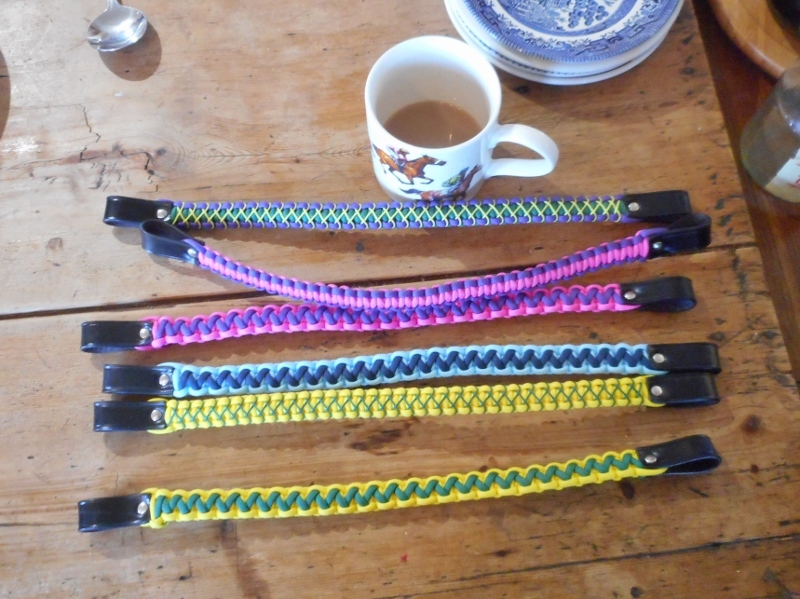 There was a "new" feel to the Saturday morning visit today. First there was a new horse, Miss Malarky, who arrived last week. 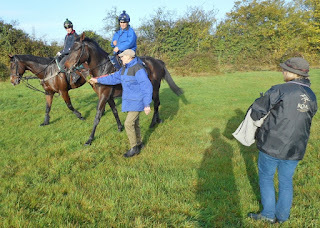 She was out cantering with her owner present. Miss Malarky with Bob, her owner. 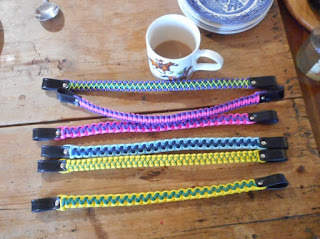 Later Karen showed us the new browbands that she has had made up in the owners' colours. Autumn sunshine brings out the crowd. There was a big turnout for breakfast this morning as many owners enjoyed the mild autumn weather while watching their horses work. It will only be a couple of weeks or so before the first National Hunt horses are back at the races. 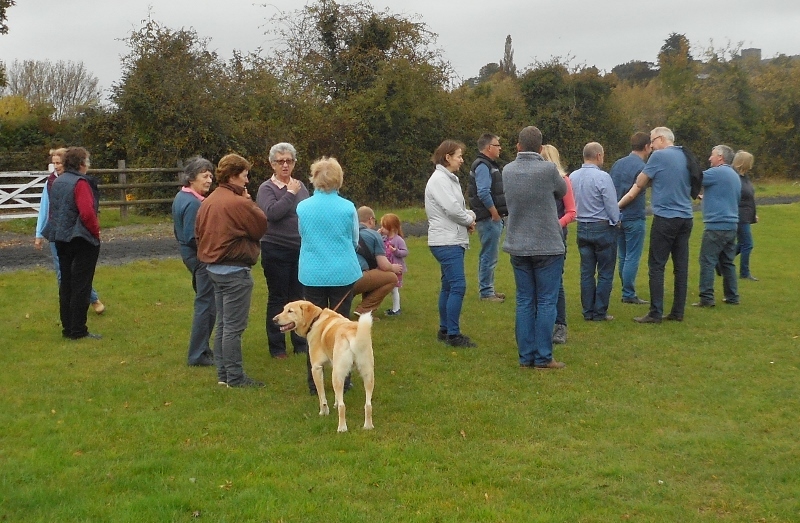 Owners at the gallops today. 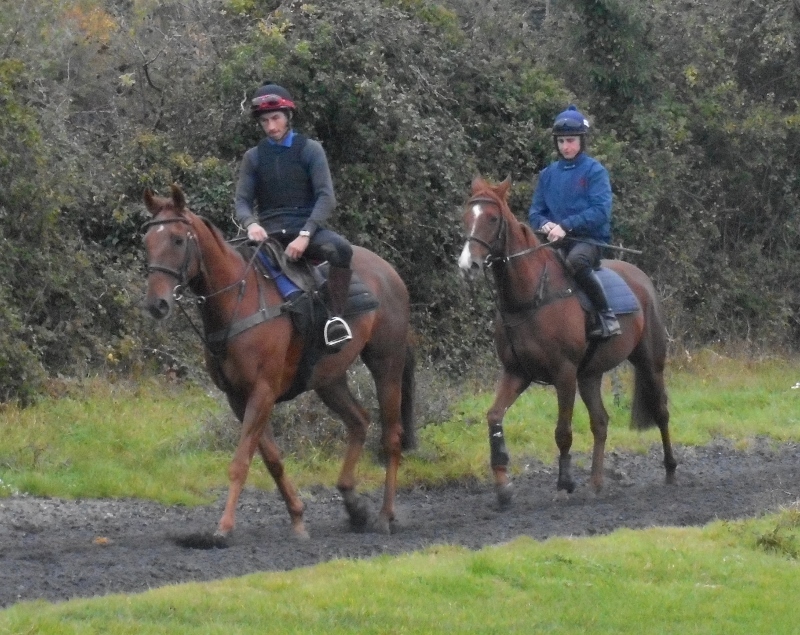 Jack Sherwood was at the yard this morning as he was down south for the two day Fontwell meeting. He rode out on Mr Jack around the gallops and later joined in teaching some newcomers how to jump. 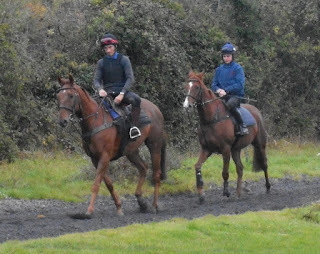 The two Jacks follow Itoldyou round the gallops. Teaching the newcomers to jump.